I just love the feeling of being a tourist in my hometown, and stumbling across a hidden gem that I've never seen before. I decided to venture out last week with my family to experience a new café, The Lavender House Café in Bromley. This incredibly cute and quaint café is situated just behind the hustle and bustle of the Bromley Town Centre, in Sundridge Park Village. The exterior of the café is adorable with its lavender purple walls, and I couldn't wait to get inside! Once I had stepped inside, I was still won over with the cute interior. Dangling trinkets surrounded rustic wooden tables, each with a lavender plant to decorate. 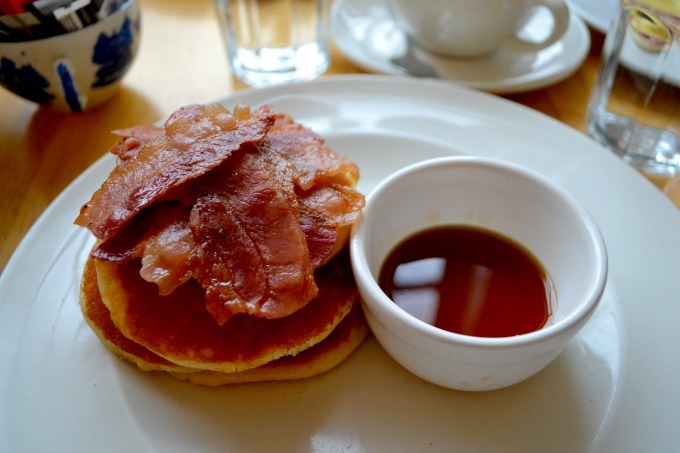 I glanced at the menu, but immediately knew that I was going to opt for the American pancakes with maple syrup and bacon. They were the perfect choice as they tasted amazing! The Lavender House Café is an independent coffee shop run by a friendly bunch of local people, committed to providing a service, menu and environment to make our customers happy. It is such a cosy coffee shop, tea garden & play area. 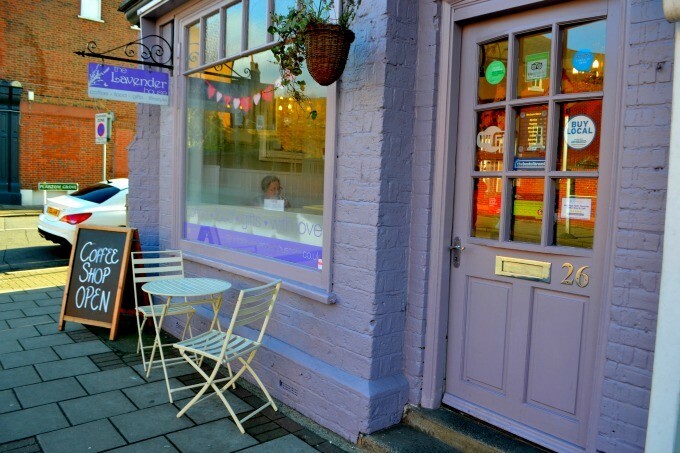 They serve breakfast, brunch, lunch, coffee, cake & cream teas. Supposedly the place for afternoon tea in Bromley! I think it is so important to explore your area, or places surrounding you. It is so fun and easy to seek a little adventure. Turo is a unique people to people car rental community. Their scheme makes it even easier for you to explore and have fun! So why not rent a car this weekend or the next time you are free? - and just see where the road takes you! Have you got any hidden gems in or around your hometown?